Everyone needs a favorite cap! 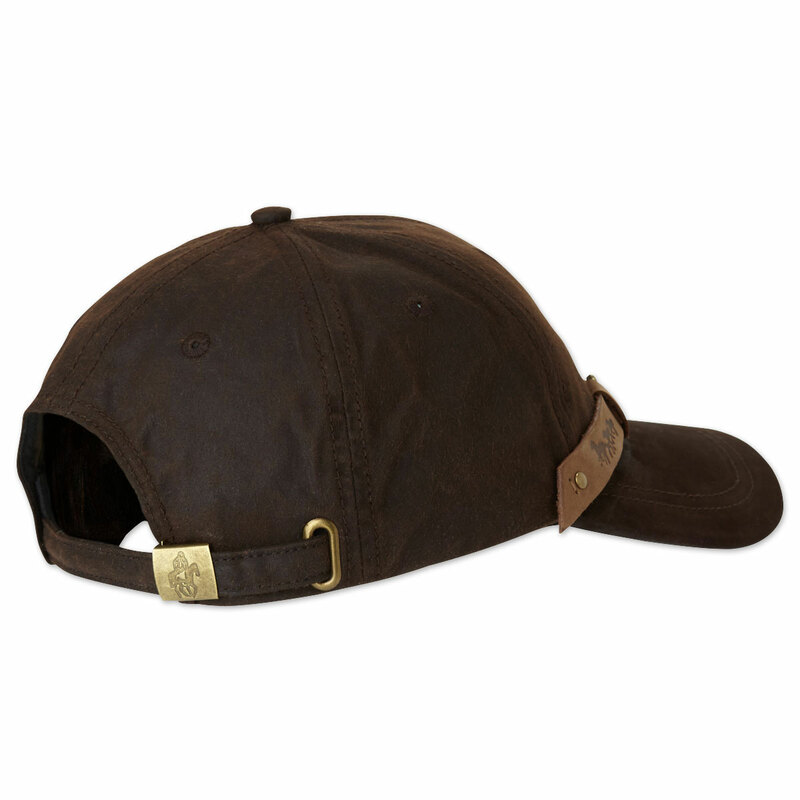 Whether you're out doing errands around the barn or errands around town, the Equestrian Cap has you covered. 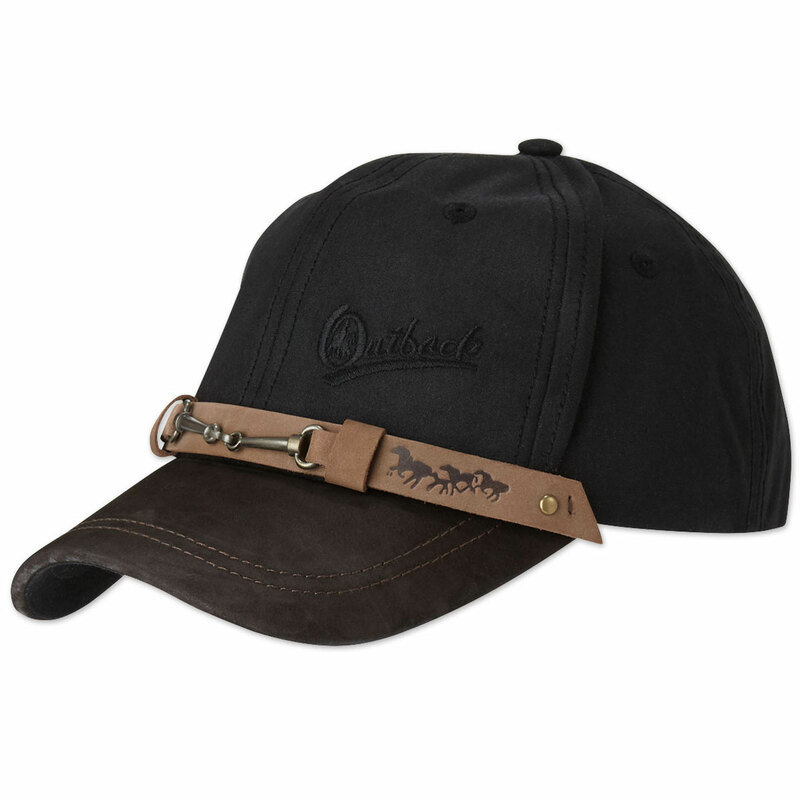 The oilskin finish will help keep your head dry on damp days. 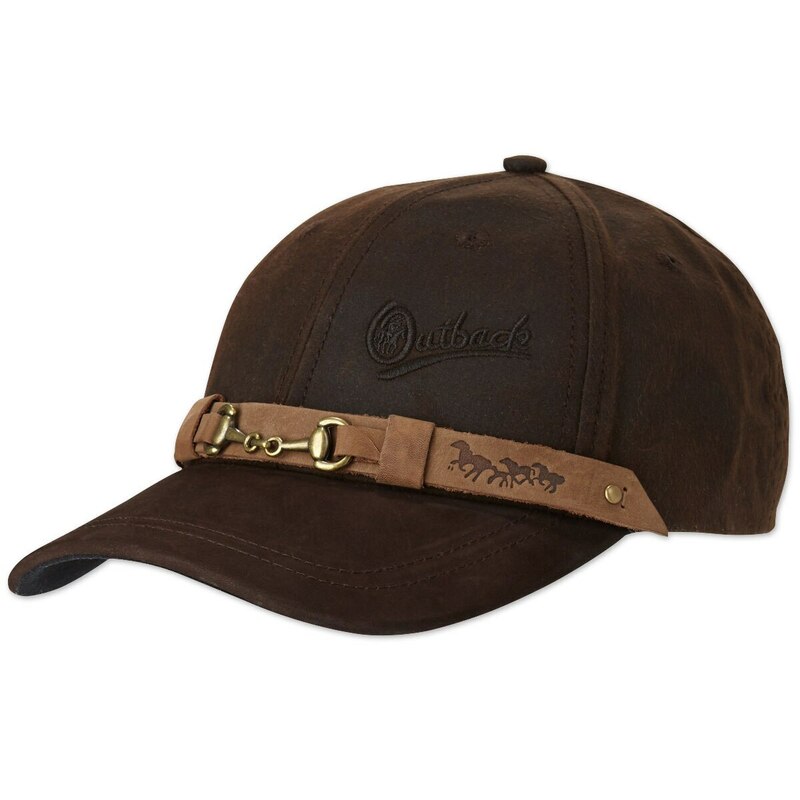 Outback Equestrian Waterproof Cap is rated 4.8 out of 5 by 11. Rated 5 out of 5 by Huntergirl from Great gift idea As a competitor, messy hair is inevitable. This hat is super cute and a must have for anyone who doesn't want to walk around with a helmet on or messy hair between classes. 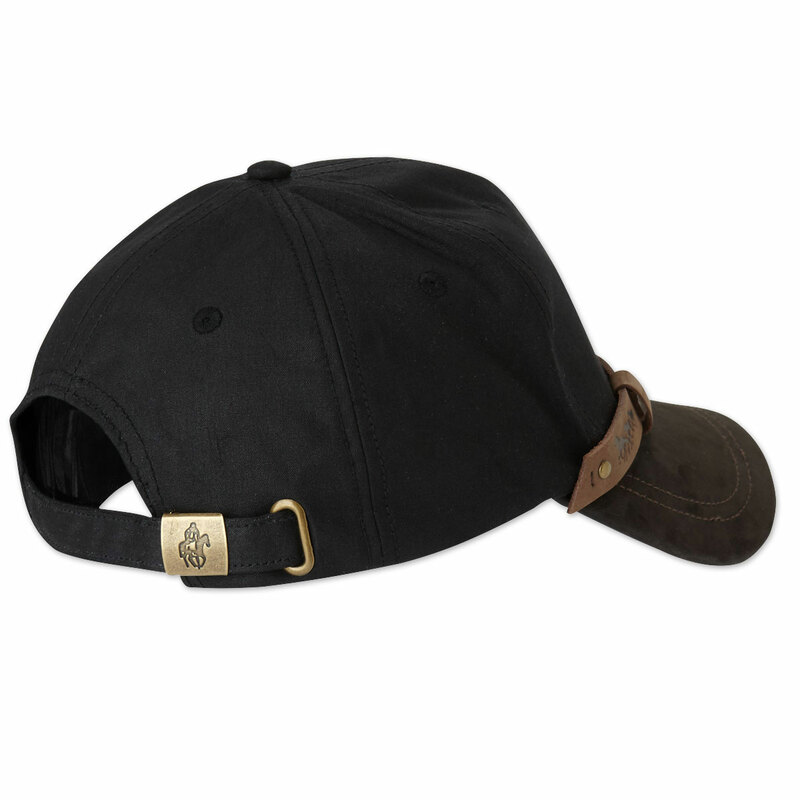 Rated 5 out of 5 by Horzlady from Great fall cap The black/tan leather cap not only looks great, but also will protect against fall's unpredictable showers. Rated 3 out of 5 by IndysMom from Keeps Me Dry I have received compliments on this cap every time I wear it. More importantly, it keeps my head dry when it is wet outside. I simply tuck my locks up in it and I am good to go! The one issue I have is the leather piece on the front is not secure. Every time I do Indy's hooves it slips up to the top of the cap and sticks up there. For $40 you would think Outback could have tacked it in the middle. Rated 5 out of 5 by Scout from Water Proof Inside and Out Absolutely love this hat! It's become an almost permanent part of "my look". Sturdy, good quality and definitely keeps the water off! The only thing you should know is that because of the material it tends to let sweat condensate on the inside of the hat instead whisking it away. This personally doesn't bother me, but if you're doing sweaty work and want something that breaths better maybe find another hat to wear. Two thumbs up Smartpak! Would for sure recommend this hat! Rated 5 out of 5 by Happicat from Two Snaps Up!!! These caps are the best! I've had one for over 2 years now, given several as "sure-hit" gifts, & recently bought the latest black version. Wouldn't be without them!!! Rated 5 out of 5 by Old Joe from Love it! I haven't had a chance to wear it yet but it looks great on and I, glad I have it for the upcoming Craig Cameron clinic in Chesapeake, Va. Forecast predicts a wash out with coastal flooding....I'm counting on this cap, lol! Rated 5 out of 5 by Cinjohn59 from Love it I bought 5 of these for a group of friends. Great hat. Looks good. Super price! Rated 5 out of 5 by AliceANN from Cute and Functional I bought this cap for a little protection from the elements. I bought it in black. fits well and is comfortable. Rated 5 out of 5 by GMTA from comfortable bought this 1 month ago and it fits great. No problem riding with the top down due to the adjustable strap.